Weather Up, formerly known as Weather Atlas, has an outstanding new feature that sets it apart from the crowd! While nothing really beats checking the weather than taking a step outside, weather apps are quite useful for getting the forecast for the rest of the week, or even for a different area if you're traveling. 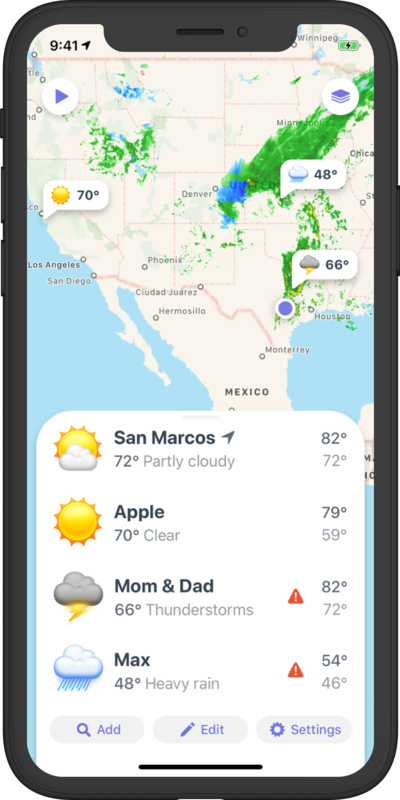 Weather Atlas, by Contrast, was a great little weather app that provided accurate forecast info, and Friday, it received a huge overhaul to usability, design and even a new name. Say hello to Weather Up. The biggest new feature in Weather Up is the Event Forecast. Once you grant Weather Up access to your calendar, Weather Up displays the forecast for your upcoming events. This feature is particularly useful for outdoor events, such as your kid's soccer practice, BBQs, and other activities. It's also convenient to see what the weather is going to be like before you start driving out there. Keep in mind that you will need a subscription to Weather Up Pro to unlock the Event Forecast feature. A subscription runs $9.99/year or $1.99/month, and also removes ads and supports continued development. Along with the Event Forecast, there are a ton of other overall improvements. In fact, most of the app was rewritten from the ground up to create a more intuitive and gesture-based interface that meshes incredibly well with the iPhone X, XS, and XS Max. If you used Weather Atlas before, then the changes are immediate when you open Weather Up, but you'll see that it's definitely for the better. With the new design comes new weather icons. The developer claims that they look good enough to "brighten your day," and we'll admit that they do look nice. In fact, they have also opened up a shop where you can purchase Weather Up gear, if you'd like to wear your favorite cute weather icon. The mapping in Weather Up is another strong point. You get the standard radar and cloud layer overlay, but there's also temperature, humidity, and precipitation accumulation. For those who live in extreme weather areas, there are warning layers for thunderstorms, tornadoes, and even hurricanes. No matter what weather you live in, Weather Up helps you get prepared. We've been fans of Contrast's apps for a while now, and Weather Atlas was a great option for getting our forecasts. 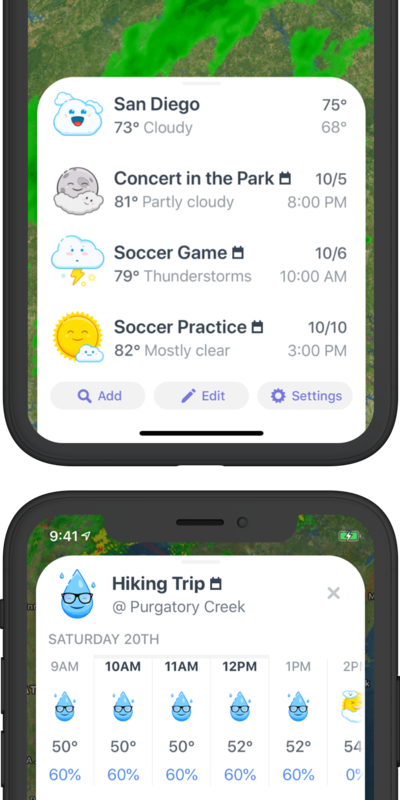 We're happy to see Weather Up bring a gorgeous new gesture-based interface and the Event Forecast feature is fantastic. Are you using Weather Up, or do you prefer a different weather app? Let us know in the comments!